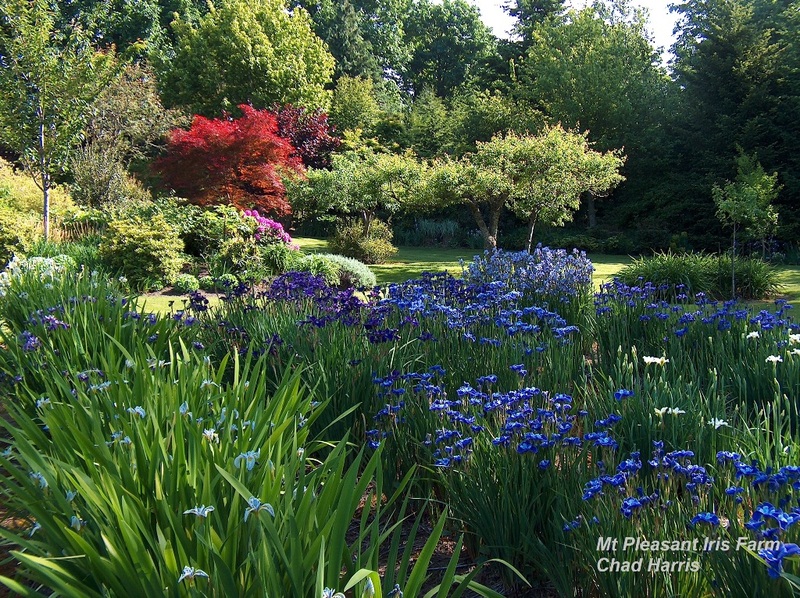 Welcome to Mt Pleasant Iris Farm, home of Chad Harris and Dale Grams, as well as the site of a National Display Garden of Japanese iris, Iris ensata. Specializing in Japanese iris, Iris ensata. We hope that you will check out our new introduction page and catalog. Specializing in wet-land-loving iris of Asia, we also grow and offer for your landscape other iris species and garden test many newer bearded iris that require less water. Offering a nice selection of colors in the bearded classes. Please check out our new 2019 Introductions, as well as our updated 2019 Full Iris Catalog with Introductions, and order form , lots of new entries and photos! Over the years we have been selecting for show quality cut blooms and plants that are more disease resistant for the Columbia River Gorge (USA Zone 8) located in Washington and Oregon States, USA. Besides the iris fields, the gardens are open for your enjoyment. Chad has been growing and hybridizing Iris ensata (Japanese iris, Hanashobu) for over 35 years. Currently he has also started to work with a closely related iris: Iris laevigata (Kakitsubata in Japan) the true water iris of Asia, and a new Species-Cross hybrid involving Iris ensata called “Pseudata”. These plants of the iris family are very well suited growing near water, some in the water as pond plants, in rain gardens, as well as patio containers. Please check out our Culture and Care pages. Chad is a member of the American Iris Society and several sub-chapters of that society. 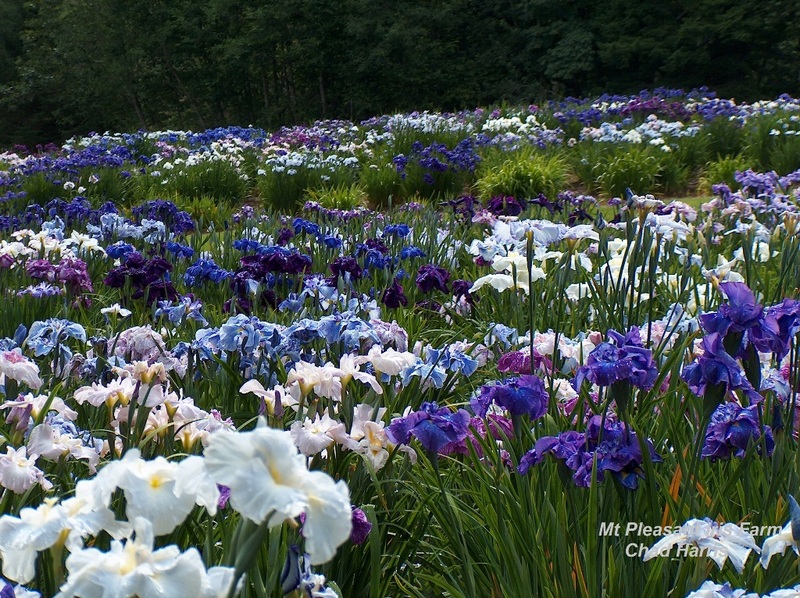 He serves as a master garden judge, and is an active member of the Greater Portland Iris Society of Oregon. Our peak iris bloom is extended over a four month period: April to July. You, your family, and the general public are invited to visit the gardens. Located in the Columbia River Gorge National Scenic Area. We are only a 25 minute drive from the Portland, Oregon airport. Garden hours, directions and a map to the farm. Mt Pleasant Iris Farm is also a Skamania County Chamber of Commerce member.